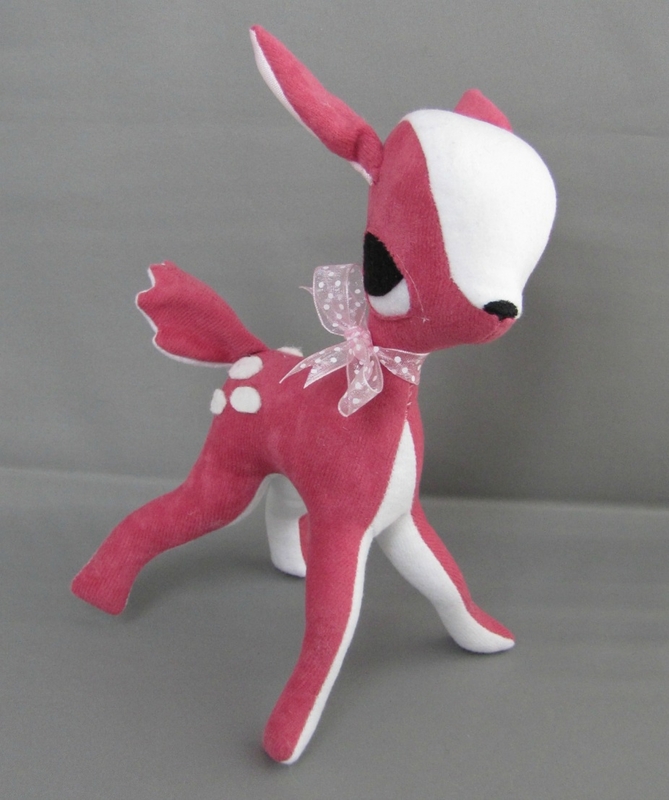 These sweet fawns measure around 7" tall and are made of soft, suede-like fabric. Each one comes adorned with a pretty ribbon bow around it's neck and a perky little tail on it's bum where there are three white fawn dots on each side. They're self standing and ready to be loved! Each deer is completely handmade so details may vary. These little guys make a great baby shower gift!